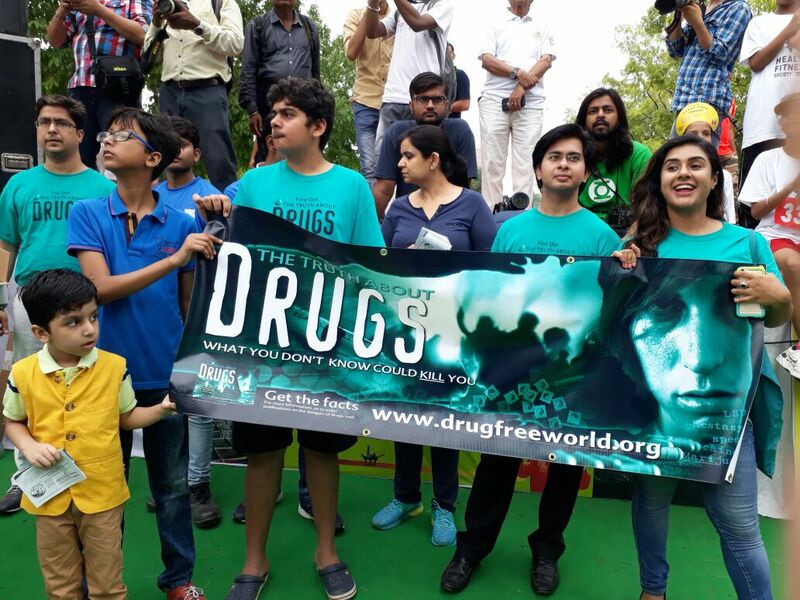 Thank you for your interest in sponsoring the events of Drug-Free World, India. We do introductory lectures/presentations/seminars on the Truth About Drugs. We guide and train educators to deliver the TAD Lectures educational program in schools. We distribute booklets containing the TAD at various events, health Melas, cultural fairs, mass gatherings, marathons, sports and lifestyle events, on the streets, in our residential colonies, our offices, schools and at any other opportunity we get. We get people to sign pledges that they will remain drug-free and do their best to keep their loved ones, friends, families, and communities drug-free. We organize painting, poster making, collage making, kite making and flying, slogan making competitions and other such events. We do open houses where all are invited to someone’s home for a free presentation, discussion, and some basic snacks. We bring together youth groups and clubs to share the TAD and encourage fun activities without any need for stimulants. We reach for an ally with other NGOs, social groups, government bodies, law enforcement agencies, and administrative organizations to help and expand our reach. We translate the materials from English to Indian languages. The public service videos are being dubbed in Indian languages, and subtitled, thanks to our donors, volunteers, and supporters. We look for media support to (a) print/promote/publish/play our Public Service Announcements; (b) carefully scrutinize the material they air/publish to ensure only the Truth is shown and no false information is spread, and (c) let people know that we exist. We use social media platforms to spread the TAD and unify all efforts made by different groups, organizations, and individuals towards bringing awareness to counter the drug-culture. We thread everyone together to become a powerful unified force against drug abuse and drug trafficking. To reach the kids before dealers do! Anything to make it ‘cool’ to say, “NO!” to drugs. Look forward to working along with you to make India drug-free! Please fill the details below and our team will reach out to you for more details. Thanks for your support!